As an introvert, you have a choice. 1. Brand the way you think everyone else does. with your personality and deep desires. You can feel straight-up confident with your dream brand. You can be undeniable to your dream clients. You can take a stand and create a brand you deeply believe in. And it can be a brand that moves beyond the superficial and materialistic messages seen in the mainstream beauty and fashion industry. One that stands for something greater. Inner Beauty, Truth and Love. 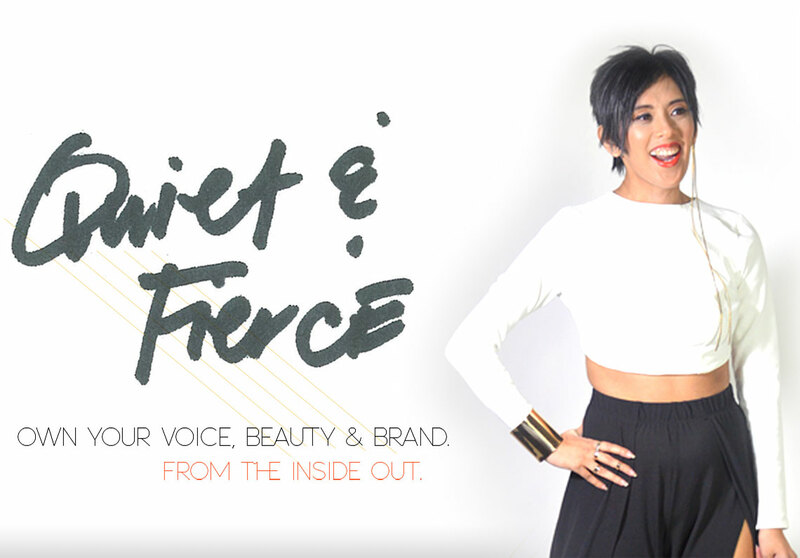 your voice, beauty and brand. From the inside out. Because doing what everyone else does? You are an introvert who wants to express your unique voice in a way that honors both your quiet and your fierce side. You don’t want to change who you are to be successful. You want to be seen in a bigger way, but are afraid to be more visible. You are meant to be a leader in the beauty and fashion industry, but don’t resonate with the mainstream’s surface and self-critical messages. You want to make a meaningful difference with your unique voice and message. You want to create a gorgeous brand that stands out and communicates your value in a fresh and soulful way. As a fellow introvert, I have a serious passion for helping leaders own their quiet voice and make their big impact on the world. Sustainable success comes from working from the inside out. You have to honor the beauty and value already within you. 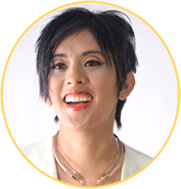 With my 18+years of experience in branding and design, my mission is to help you get to the heart of who you are and communicate your brand so your voice, image and message are aligned. I’ll provide you with the bold clarity, soulful strategy, gorgeous design and exquisite style you need to go to your Next Level. When you own the power you already have on the inside, you become naturally magnetic. Your vibe attracts your dream clients. And you deserve to prosper just by being who you already are – a quiet, beautiful and fiercely powerful soul. I activate it. And make it real. Hello! I am a beauty brand activator, designer and poet. I love to help leaders thrive and so they can be of greater service to the world. I encourage beauty and fashion leaders to connect with their inner beauty and express their passion with soulful style. We combine these elements into a unique and meaningful personal beauty brand that becomes a magnet for their thriving beauty business. Through authentic strategy, gorgeous design, and soulful style, I coach these leaders to make their brilliant mark on the world by leading their own beauty movement. My passion for helping women radiate their true beauty also shines through my inspiring poetic apparel collection.